This very well-maintained multi-use property is comprised of three (3) rental units; Two (2) apartments plus one (1) commercial/storefront. Apartment 1 offers an entrance foyer, living room with fireplace, dining room, eat-in kitchen, 4 bedrooms and 2 bathrooms. Apartment "2" offers 1 bedroom, 1 bath, living room, kitchen, and private large roof top deck. 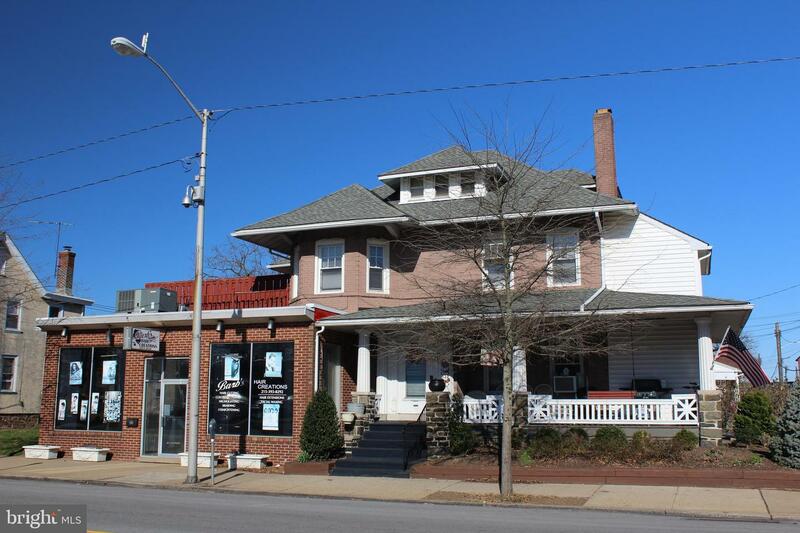 The commercial unit is comprised of approximately 800 SF of space with excellent tenant signage and visibility along N. Broad Street. Basement provides washer/dryer hookups, landlord mechanical room, and tenant storage areas.